Josef von Sternberg's heavyweight status was never in doubt. Critics knew he was something rare almost from the beginning. Perhaps the "von" affectation commanded respect (imposed by studio publicists, he claimed), or perhaps it was imperious ways he adopted once success bloomed. That was awhile in coming, as Joe had started at the bottom and several times blew his luck making unreleasable films or walking off ones that didn't suit him (his first, The Salvation Hunters, inspired Charlie Chaplin to arrange release through United Artists, for which $44,000 in domestic rentals came back). A recent DVD set from Criterion finally lays three of the best silent Sternbergs before us in presentations that fully settle this director's mastery of visual effect. As to proof of that till now, you had to rely on assurance from books and lucky few who saw existing nitrate prints of Underworld, The Last Command, and Docks Of New York. All were museum guarded with copyrights renewed by Paramount, the latter surprising VHS collectors in the eighties with Docks and Command to commemorate a studio anniversary spree that's said to have fizzled, at least with regard sales of silents unknown even to many that fancied vault treasure. What they needed back then, and didn't have, was internet pom-poms to spread word about how special Sternbergs were, a lapse we've corrected with online endorsement from everyone who writes serious about films (even dilettante me got around to it). Again I'd love peeking at Criterion receipt books to know how these are selling, and to learn just how much they tendered to Paramount for video rights. Is this none of my business? May-be, but who wouldn't like insight into what our beloved classics are worth in 2010 dollars-and-cents? 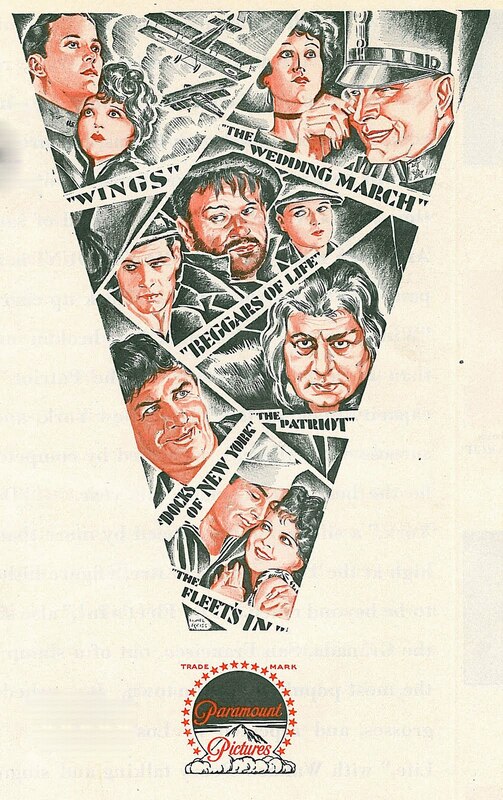 Sternberg was every film journal's pet during the sixties and after. New York revival houses had long been running him to assure connoisseurs that a US director could deliver art same as oversea rivals. Joe having been cast out of studios lent cache as well. His saga of art versus commerce bespoke integrity (still does) except to those footing bills. These three from Criterion represent 1927-28 opening of a commercial window that stayed wide a good five-six years before slamming back on star-making Sternberg, his vogue at Paramount secure for what remained of the silent era and then some, success even more pronounced once Marlene Dietrich hit shores. Underworld has been lauded for a lot of things, but less so for Joe's discovery of three bankable names Paramount would squeeze, then discard, same as they ultimately would him. 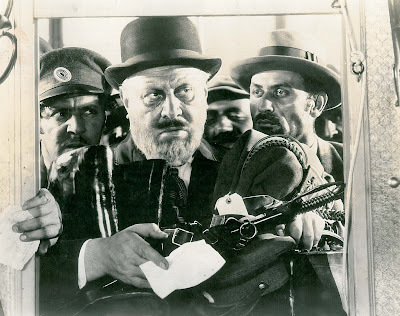 George Bancroft was a big bruiser you knew would have an abbreviated shelf life, but Sternberg made expert use of him, enough so as to make the Bancroft brand a profitable one for several years into talkies (virtually none of these are shown, despite worthies like The Mighty). There was Evelyn Brent, who was uncertain temptress material, but Joe could have made Polly Moran smolder given the inclination, so for a while at least, Brent was smokin'. Her casting off to B's and cowboys (good support for Hoppy at one point) was a fate Sternberg predicted, knowing she'd falter without him. Clive Brook was better showcased by Sternberg than he would be again. Few are even aware Brook's was once a leading name. 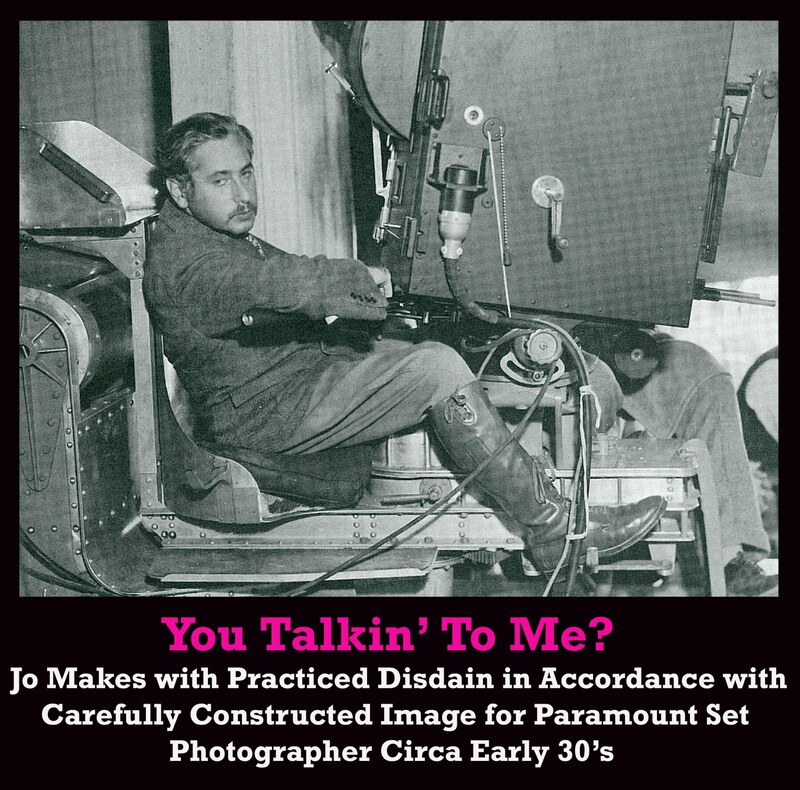 Maybe Joe's belligerence (having once said directing was a thankless task I never enjoyed) came of frustration at seeing personalities he'd developed so badly handled by others at Paramount. That was S.O.P. long before JvS arrived, however, and the pattern would be repeated with Dietrich, only then it would be Sternberg getting blame for her mid-30's decline. 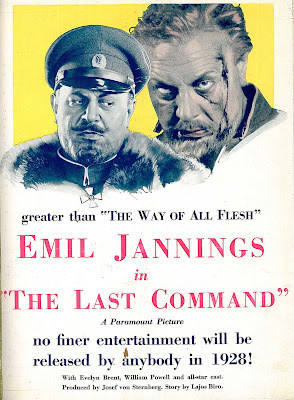 Sternberg worked magic with another limited type, Emil Jannings, who'd mastered a range of characters he could (or would) play. Joe varied one of these enough in The Last Command to deliver what everyone called Janning's best performance (we can't confirm thanks to others largely lost). 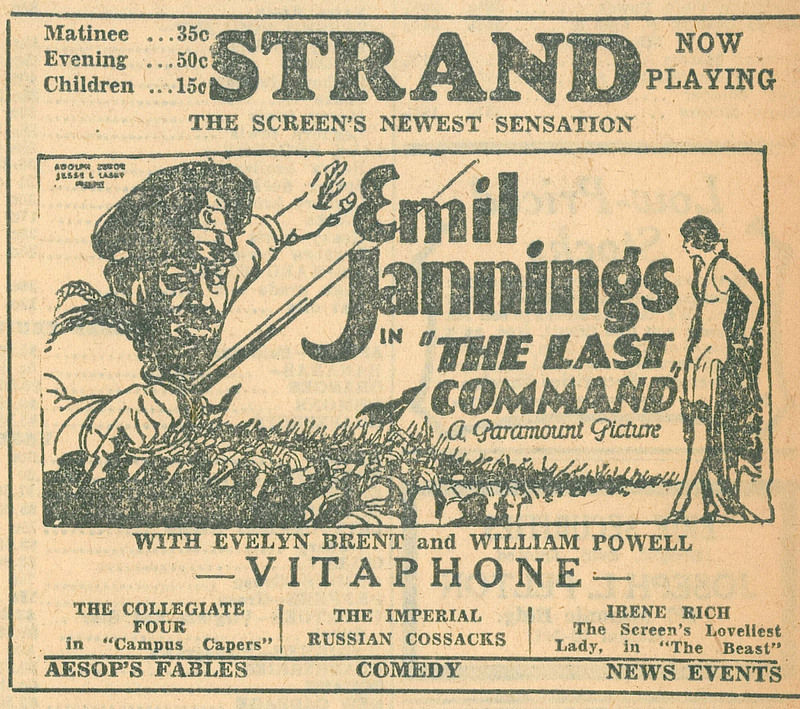 Preston Sturges would say The Last Command was the only perfect film he'd ever seen. Doug Fairbanks sent telegrams of congratulation, and word came they were scalping tickets in front of Warsaw theatres. 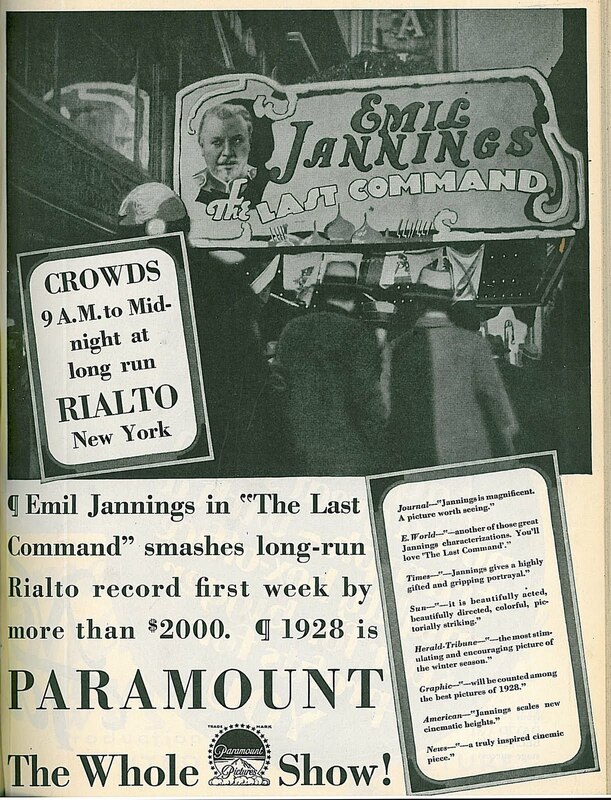 Command's story was arresting enough for a wide US public to enjoy as well (trade ads such as ones here radiated confidence). Like Underworld, this was a hit. 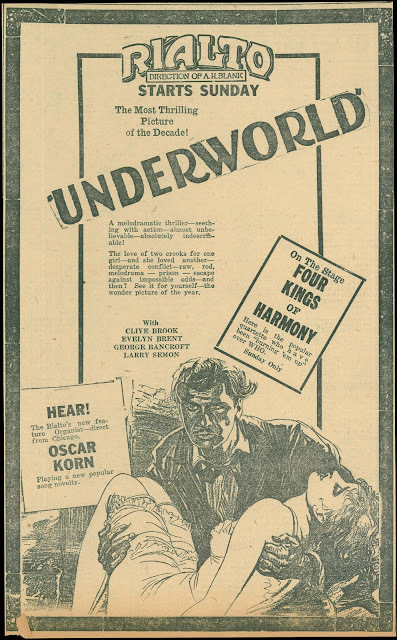 In fact, for a while, it looked like Sternberg had an enviable finger up America's pulse, Underworld being socko in urban markets according to Janet Bergstrom's excellent DVD segment. Highest among complements to Joe may have been Howard Hawks grabbing credit for Underworld's story development years after it stopped mattering, plus he'd crib a memorable spittoon gag from the film for his own Rio Bravo (who in 1959 would recall that having been done three decades before, and in a film long out of circulation by then?). 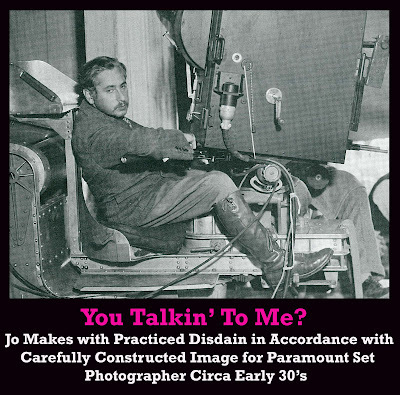 Whatever crazed logic guided Sternberg to treat people so badly may account for his getting Paramount's boot when profits from his stuff went dry, although colleagues who'd known Joe before he was Von were able to handle him better. Still, he made powerful enemies when those could hurt, and none would forget (Ernst Lubitsch among them). Bill Powell had it written into contracts that he'd not work with JvS again (when was this genial actor before or since so miffed?). 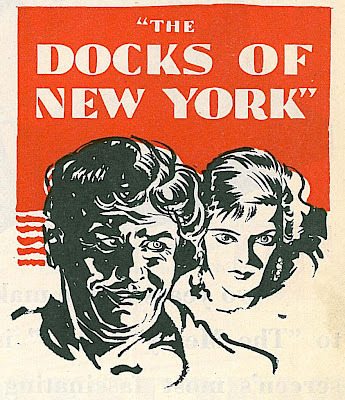 Sternberg got known as a busy lot's angry young man, but when George Bernard Shaw called The Docks Of New York one the greatest films I've seen in my lifetime, who gets to be right? Anyone with eyes knew Joe was leagues ahead of others aiming cameras. The fact he claimed total authorship of all creative aspects was even OK so long as money wells were deep enough for everyone to sup. 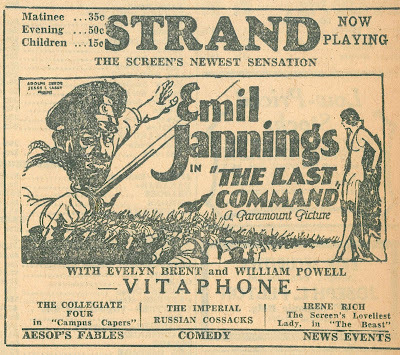 Some have said Sternberg's silents were conked out by onrushing talkies, but a look at the ad above shows Paramount putting best feet forward in '28 for a silent program that likely sold well, what with Wings, Beggars Of Life, The Fleet's In, and Sternberg's Docks Of New York leading the pack. Sound would be a mite longer obliterating this art form. 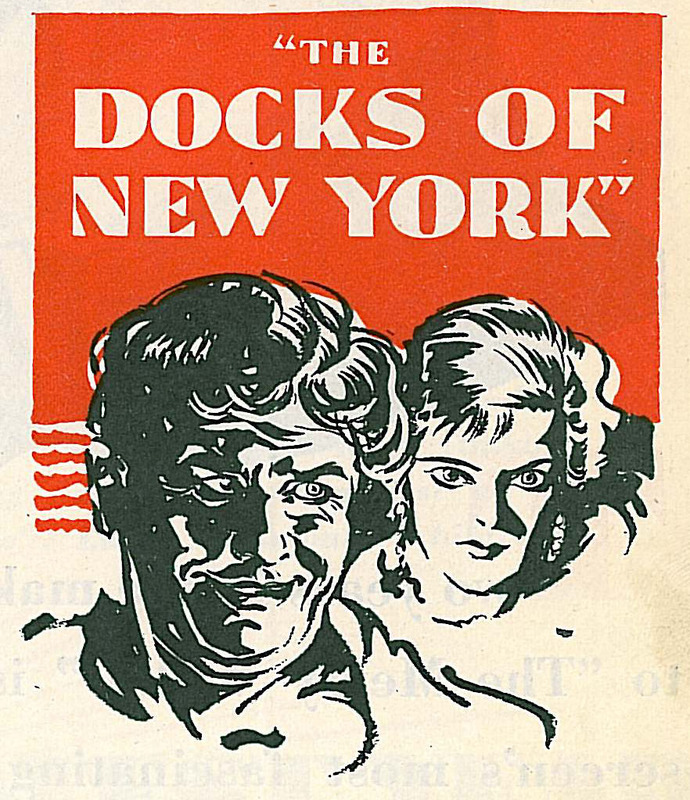 As to Docks Of New York representing summit of silent artistry, you could pretty well call it that without fear of contradiction, for there's no other that looks so stunning. Time seems right too for rediscovery of Sternberg's narrative skill, which is to say he barely concerned himself with story, as neither, apparently, do a lot of modern filmmmakers. You never see three-act wheels grinding with Joe, and for a jaded 2010, that's refreshing. His shows gain considerably on repeat viewing as well, for its smallest gestures and atmosphere that often escape us a first time around. The Sternbergs are ideally served to fans who've been round the silent block and are ready to sample its deeper dishes. Tag Gallagher's DVD extra explains JvS in ways that opened my eyes, and I'd seen these pics several times before. Would they work for the uninitiated? Some called Sternberg a poet of film (and he'd have agreed), but poetry isn't readily understood by us all, so I'm left wondering what an evening with Sternberg would yield in terms of audience response. Has anyone lately tried him out with a crowd? I've just watched UNDERWORLD, THE LAST COMMAND, and a third or so of DOCKS, and am staggered at how great these films are. Is this the DVD release of the century? I've been catching Von Sternberg in bits and pieces over the years, and have been drooling over the thought of these three since I first read about them in Charles Higham's maddeningly idiosyncratic but essential ART OF THE AMERICAN FILM. Interesting that Sturges preferred LAST COMMAND and Shaw DOCKS; I prefer UNDERWORLD for the ferocious display of masculine energy embodied in Bancroft's tremendous performance, unusual for the typically Feminine-centered Von Sternberg. Question for all: Is Clive Brook's character Rolls Royce in UNDERWORLD supposed to be gay? He at one point states, I believe "I am not interested in women", and Brook's entire performance implies that it is more than just rectitude, gratitude, and fear that keep him from consumating his relationship with Feathers. I have yet to see a Von Sternberg film that I did not find fascinating, including SHANGHAI GESTURE and CRIME AND PUNISHMENT. I hope AMERICAN TRAGEDY pops up soon, and rumor has it that a print of THE SEA GULL exists in Chaplin's archives. Why is Von Sternberg a dead end in cinema? It seems that no one, with the possible exception of Ridley Scott and Mario Bava, has picked up his visual torch and ran with it. Supposedly Von Sternberg taught a course in film aesthetics at UCLA from 1959 to 1963. Where are those students now? I'd love to hear from a few. For me, personally, all of the soundtracks provide for these films miss the mark. 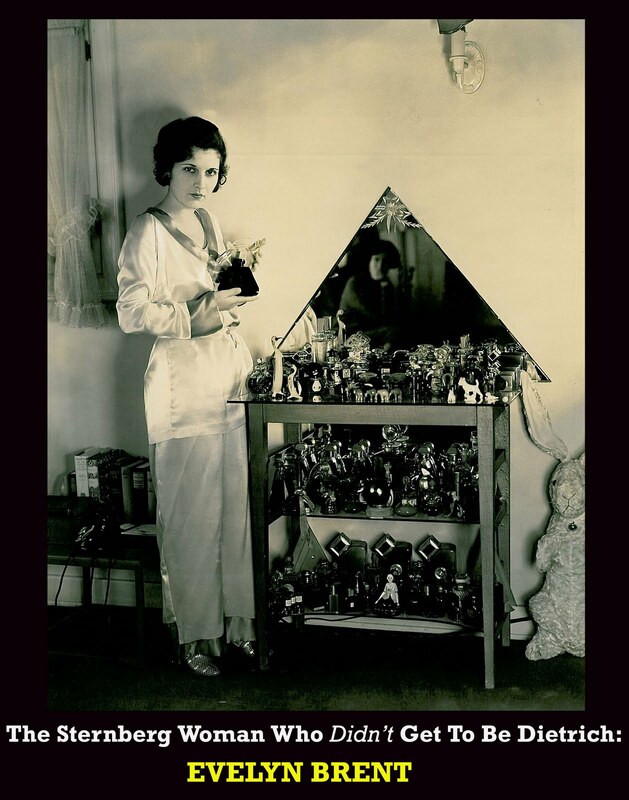 It would have helped greatly had at least one of the people involved in these projects actually studied the way Von Sternberg used sound in his films. All the scores are hammy. UNDERWORLD has many moments when silence greatly increases the dramatic tension. as well, speakesies were the first clubs to employ Black entertainers. Ambient twenties jazz would have fit the background. In 1980 I brought motion picture sound pioneer Bernard B. Brown to Toronto for an in-depth symposium. His career began with THE BIRTH OF A NATION (as THE CLANSMAN at Clune's Auditorium in Los Angeles), and included THE JAZZ SINGER (1927) and 100 MEN AND A GIRL (1939) on which he pioneered multi-track recording. He got Eleven Academy Award nominations and two Oscars for his work with film and film sound (which he taught at UCLA on retiring). The problem with the vast majority of scores for silent films today is that the people who create them seem never to have actually watched a movie. That off my chest, kudos to Criterion for giving us such beautiful copies of these works. Another thing to get off my chest is the forced destruction of THE SEAGULL which Von Sternberg directed for Chaplin. The IRS would only accept the film as a loss if Chaplin destroyed it. The government is and always will be the great criminal. Were you at Cinevent in 1998, John? That's where I first saw Docks of New York, and the house was pretty full, notwithstanding that it was an 11:00 pm Sunday screening. Unfortunately, I can't vouch for the crowd's reaction because I was so caught up in my own: I was absolutely bowled over. And it was one of the most gorgeous black-and-white 16mm prints I've ever seen; hard to imagine a nitrate 35 looking any better. I've heard that a negative of "The Sea Gull" was indeed burned, but that two existed ... one for the US and the other for Euro printing. So is it possible one of these survives? Jim, I've yet to catch an 11:00 screening at Cinevent. By that time of night, and considering the pace of that great gathering, I'm all in. I understand Chaplin kept a print but that Chaplin's wife finally had it destroyed. I can say that AN AMERICAN TRAGEDY is a terrific film, much better than the George Stevens remake. I managed to get an acceptable capture of a presentation on Spain's TVE from the eighties. Although the film was dubbed, somebody has fortunately managed to dub the original English soundtrack to the video. I saw Underworld with an audience not too long ago (and Last Command with the Chicago Symphony Orchestra long ago) and both went over like gangbusters. The modern-seeming cynical edge, the eye for sharp little gestures that define character, and the pace of both films (so unlike the languorously decadent later von Sternberg) make both surefire audience pleasers, even as they seem halfway, or more, to arthouse fare. "Is Clive Brook's character Rolls Royce in UNDERWORLD supposed to be gay?" I think his and Bull's bromance belongs to the pre-overt-sexuality world of intense male companionship on screen, depicted at a time when people wouldn't really have stopped to ask "Are they doing it or are they just good friends?" As improbable as "von Sternberg" and "pre-overt-sexuality" in the same sentence may seem. Reg, I don't know what score you watched these films with, but I must disagree entirely that the scores presented by Robert Israel are either without thought or "hammy." There is, in fact, a LOT of thought put into UNDERWORLD. 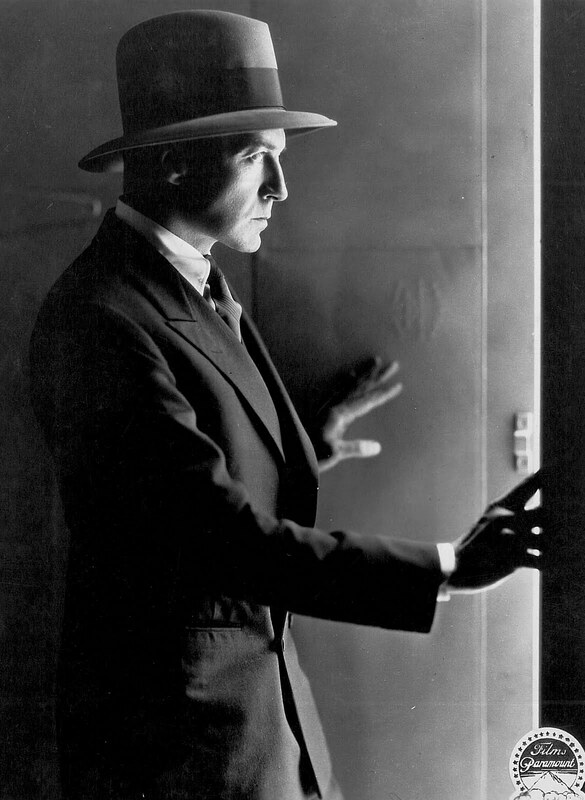 There's quite a bit of twenties-style jazz presented in the film—at the appropriate moments, of course. Black jazz would be entirely inappropriate because there are clearly *white* musicians playing at the ball. There are also a lot of popular tunes from that period that are interpolated quite correctly. Did no one catch or appreciate Israel's cue "I'm Forever Blowing Bubbles" just before Buck gets killed? It's clearly an allusion to the same cue being played in THE PUBLIC ENEMY just before Cagney is "dropped off" at his house at the end of the film! You also don't have to be a musicologist to hear that much of the incidental music relating the love triangle is in three-quarter time. Three characters = 3/4 time. It's also pretty clear that Brook's character is not gay—why would he carry on a romantic relationship with Feathers, then? The thought that he would go through with it even though he had no sexual attraction to her is ridiculous. His ambivalence is obvious: she's Bull's gal, and he's an intellectual that has his emotions in control (or does he? 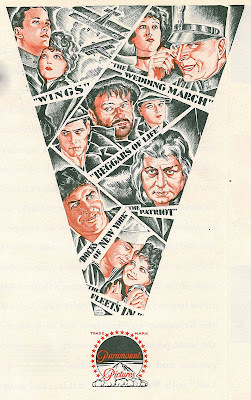 The whole point of the film). It's funny that over the last several days I've been watching two of the Von Sternberg/Dietrich films in my own collection -- "The Scarlet Empress" and "Shanghai Express", before having read this, and Iam more convinced than ever that Sternberg really ranks high as one of the great figures in film history. Von Sternberg appeared at the Academy Theatre in Beverly Hills several decades ago, representing the first in several-decades screening of "The Devil Is A Woman". He was charming, acid,acerbic and absolutely fascinating. He told the assembled crowd, (mostly made-up of a strange mixture of film students and industry-veterans), that he truly hoped they would one day get to see "The Saga Of Anahatan" (hope I'm spelling that correctly) which he believed to be his best work. Afterward, in the theatre's foyer, he was absolutely mobbed by women -- some as glamorous as Dietrich herself. He stood there, a sly smile on his face, chain-smoking all the while. (Oh, he also said that he liked to have his actors smoking, because it filled the space between them and the camera). When the crowd had somewhat thinned, I very bravely walked up and spoke with him. We shared maybe two-words. Two weeks later he died. Both Bancroft and Evelyn Brent were part of an ongoing group of New York actors that would meet to play cards at my grandparents. My father told me that Bancroft was a real "blowhard" who took himself very seriously. "Women absolutely love me" Dad said he would say, "Because I can sweat on cue!" If only we were all gifted with such natural talent! And it's interesting, RJ, how Bancroft's starring career sort of tanked after he left Paramount. I understand that happened because he wanted much more money than they were willing to pay, then put out the word on him as being too greedy once he split.